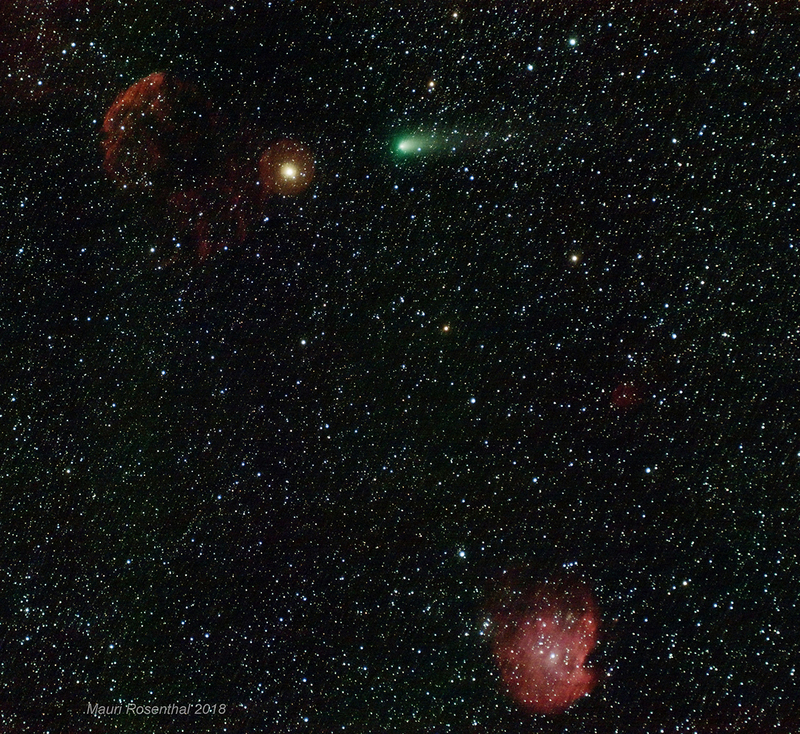 Mauri Rosenthal shared his recent comet shot taken by his 55FL. Nice composing! Well, there’s a lot going on here. I’ve been wanting to do a more thorough job of imaging comet 21P/Giacobini-Zinner and we finally had decent skies last night. The comet was passing through a busy neighborhood. Closest is Eta Gemini or Propus, a variable triple star system which shows a considerable halo here of reddish nebulusity. To the East of this lies the Jellyfish Nebula, with only the brightest sections visible here. Then south of this grouping is the much brighter Monkeyhead Nebula. mtrastronycBorg 55FL astrograph/IDAS LPS-D2 filter/iOptron Cubepro 8200 mount unguided/ZWOASI 1600MC/ Processed with PixInsight. Note that the comet tool in PI enables the comet alone to be registered and stacked, making it possible to separately process a starfield and paste a tight comet into the image. I have done that here but I have yet to figure out how to maximize the processing when there’s not just a starfield but also significant areas of nebulosity. This image stacks 10 3 minute SharpCap Live Stacks of 4 second exposures. Imaged from my yard in Westchester 10 miles north of New York City. 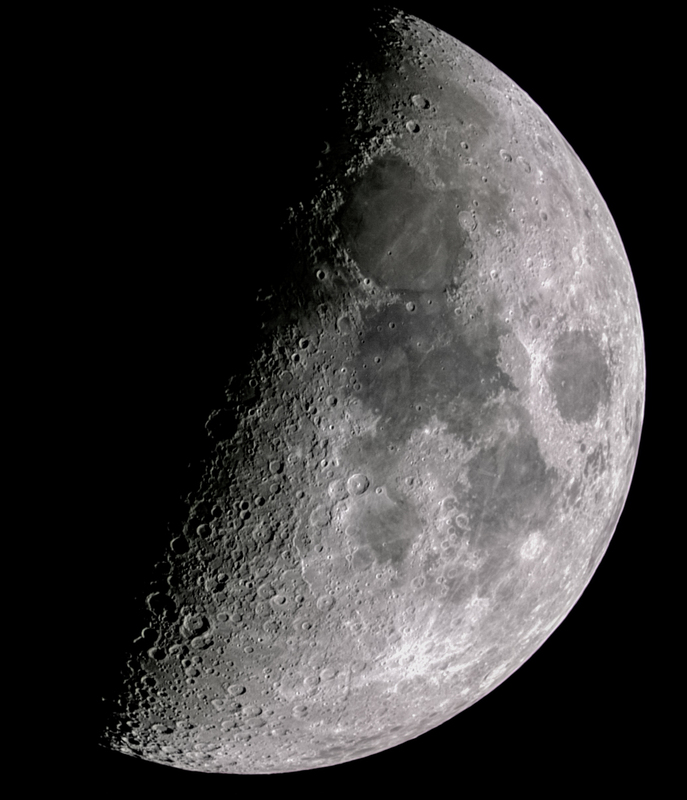 I tried an another lunar shot with different setup. This time, 107FL F6 and Fuji X-T1. It was longer focal length, but it gets small image scale because of less number of pixels. I feel Panasonic GX9 seems to be more suitable for this target. ~ by tedishikawa on September 17, 2018.